Ash Wednesday is a time where the church comes together, as followers of Jesus, to express sorrow for the sin in our lives, but to embrace the hope that Jesus gives all the more. We gather for a time of reflection, Scripture, Liturgy, and song. A service dedicated to the beginning of the season of Lent, where we sacrifice and fast as we remember the sacrifice and life of our Savior Jesus Christ. In all of it, we recognize the beauty of simplicity, sacrifice, and surrender. It's a season to call us back to the LOVE that is in Jesus, and to set our hearts on the cross, where our hope is found. 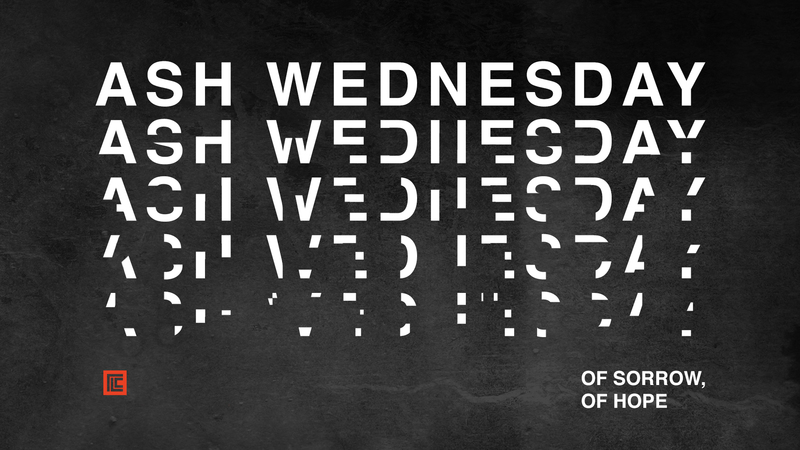 Join us for Ash Wednesday at 6 PM. Please note, this is a family service; all children will be in the service.